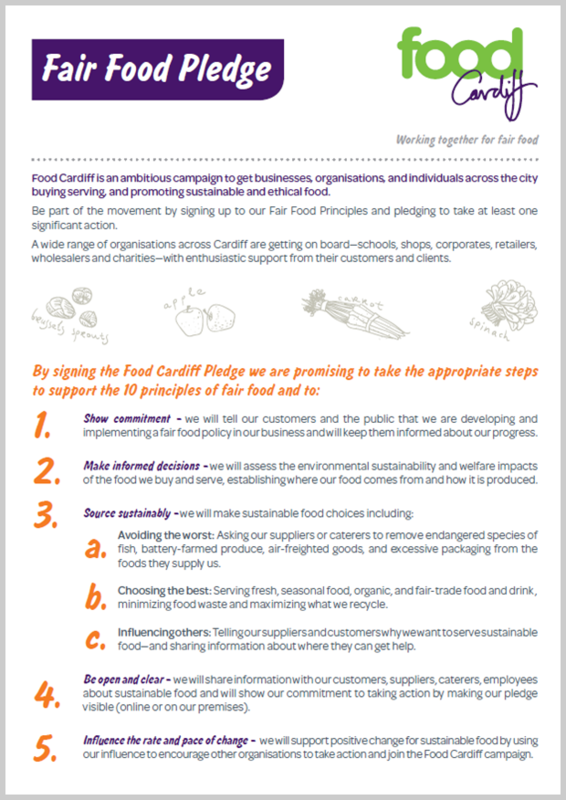 So, you’re ready to get involved and make food fair but don’t know where to start? Don’t worry! We have everything you need right here. 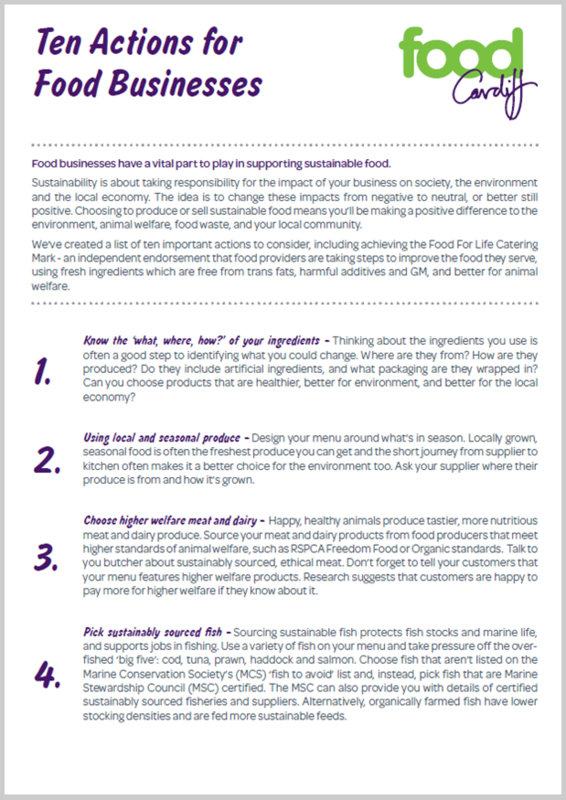 From the top ten principles of fair food to how to eat good, healthy, food on a budget, our ever expanding rerpetoire of resources is available to download here for free. If you’d like printed copies of these resources, let us know. 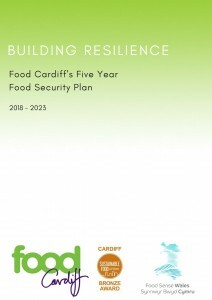 Food Cardiff members supported MSc students at Cardiff University to develop live projects in order to research real life challenges in Cardiff’s food system. 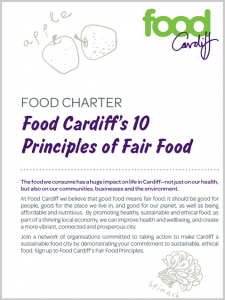 This report compiles a set of live projects from students within the school of Georgraphy and Planning and includes participatory research on Food Co-ops, Cardiff’s Wholesale Market, Healthy Start vouchers and public fruit trees in Cardiff. It provides a framework for our actions, and guidance for individuals and businesses. 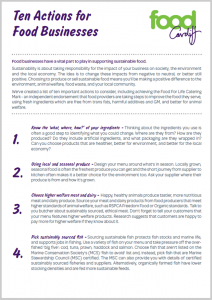 Everyone can help to create a fair food system – but it can be daunting deciding where to begin! 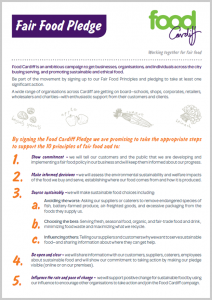 We’ve put together three simple guides to get you started, with actions for individuals and families, non-food businesses, and people working in the food and drink industry. commitment in Cardiff’s Wellbeing Plan. 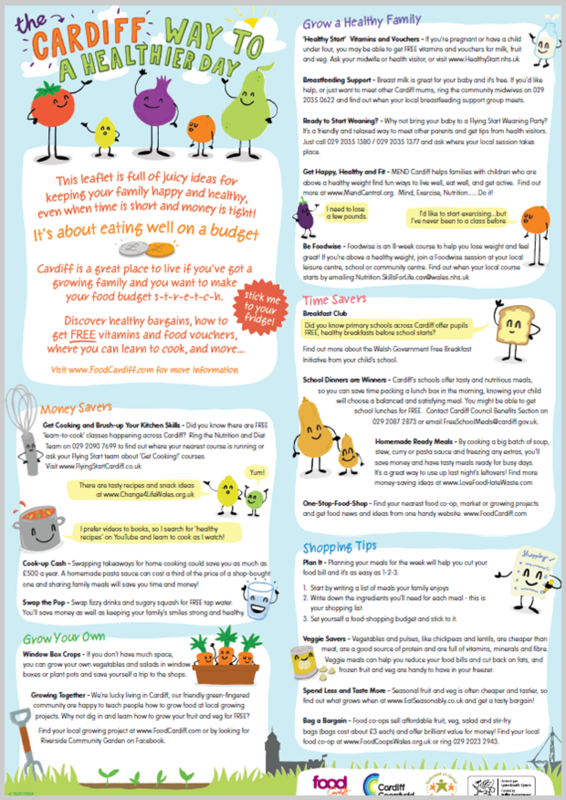 This leaflet is full of juicy ideas for keeping your family happy and healthy, even when time is short and money is tight. It’s about living in Cardiff and the services and resources you can access here. 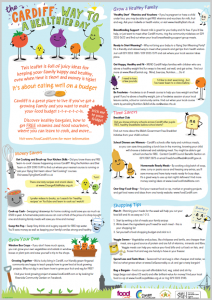 Download the A3 leaflet below to discover healthy bargains, how to get free vitamins and food vouchers, where you can learn to cook, and much, much more. 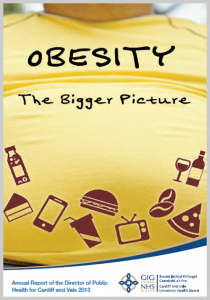 This report aims to answer the questions: what is obesity, what is it’s impact on our health, and how can we reverse the trend to live healthier and happier lives? Couldn’t find what you were looking for? Let us know and we’ll do our best to find it!